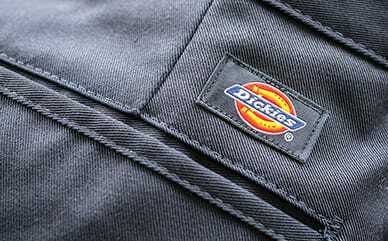 Dickies’ Girls' Classic Fit Boot Cut Leg Stretch Pants are a well-made and flattering pair of pants that are great for school uniforms. This smart looking pair of pants sits slightly below the waist, with a boot cut leg that easily fits over any shoes. The FlexWaist® Adjustable Waistband leaves her with plenty of room to move, while the pants stretch to fit her figure.